Season steak with salt and pepper and cook steaks on HIGH Broil for 2-3 minutes. Remove and set aside. Remove bread and spread mayonnaise on unbuttered side. Sprinkle grated Parmesan on top. Slice each steak in half, and place on top of mayonnaise. Lay one slice of Provolone on top of steak and place under broiler. 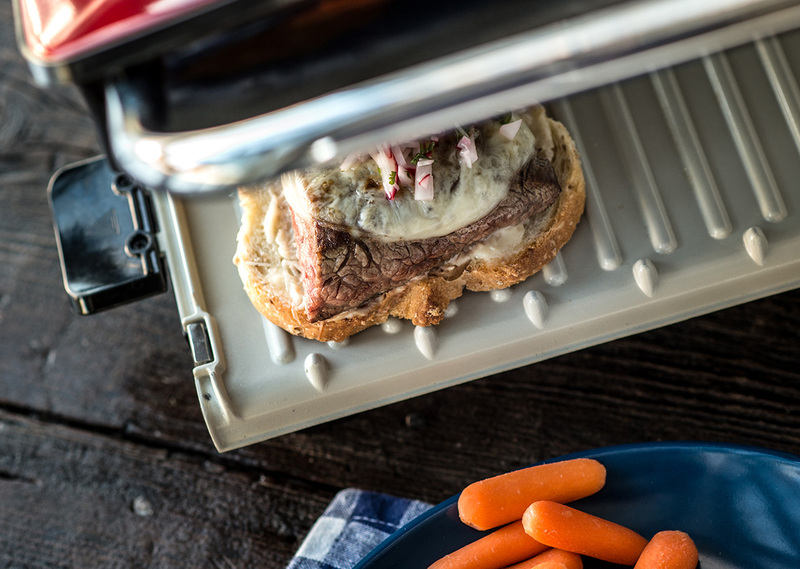 Cook on HIGH Broil for 3-4 minutes, or until cheese is melted and bubbly. Repeat with remaining sandwiches. Meanwhile, place all salsa ingredients in food processor and pulse about 10 times, or until radishes are finely chopped and ingredients are combined. 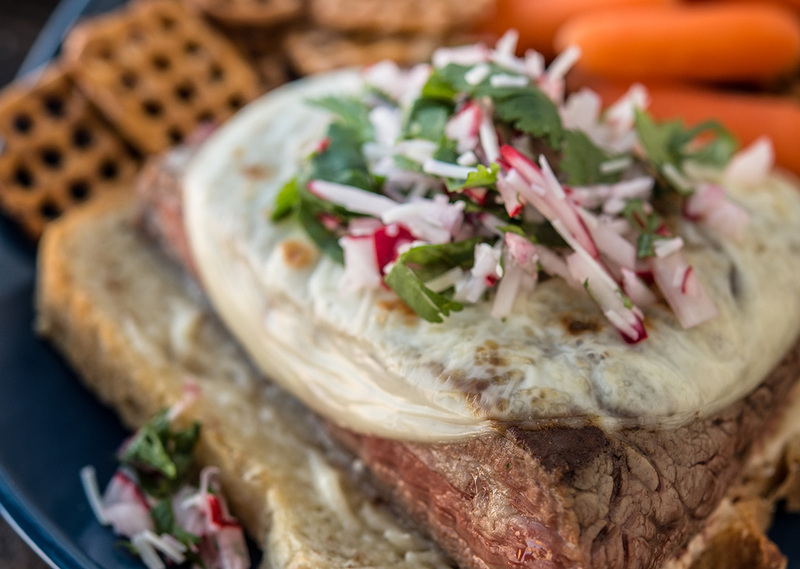 Top each steak sandwich with radish salsa.